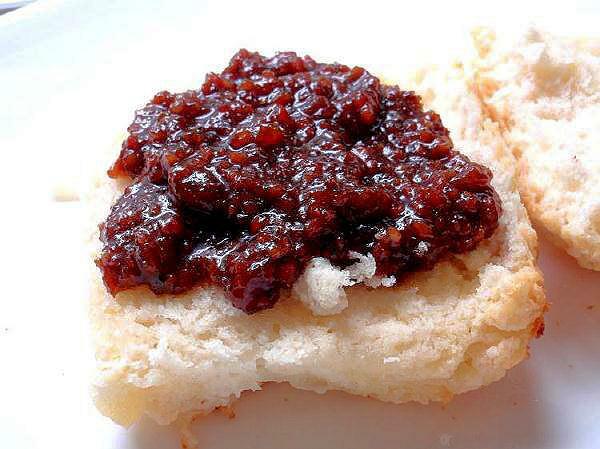 A Bacon Jam recipe! Who knew you could make jam out of bacon! 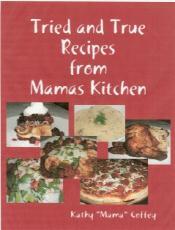 Here's step-by-step pictures to guide you through making your own! 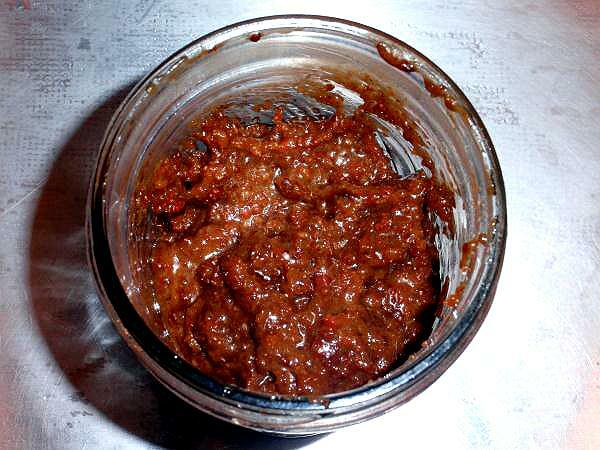 I have to admit, when I first heard “Bacon Jam”, I thought, “You've got to be kidding” but I thought I'd give it a try anyway and the results were pretty darn tasty. 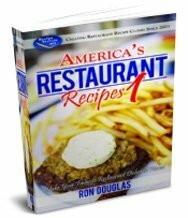 I can't say that I've ever tasted anything quite like it and it was wonderful topped with a poached egg. 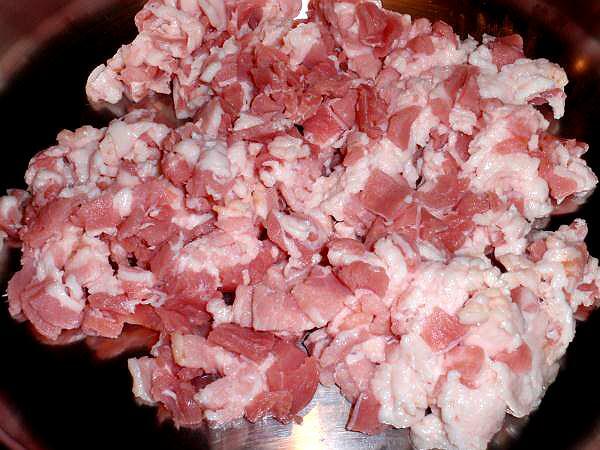 Place the chopped bacon in a medium skillet. Cook bacon until crisp. 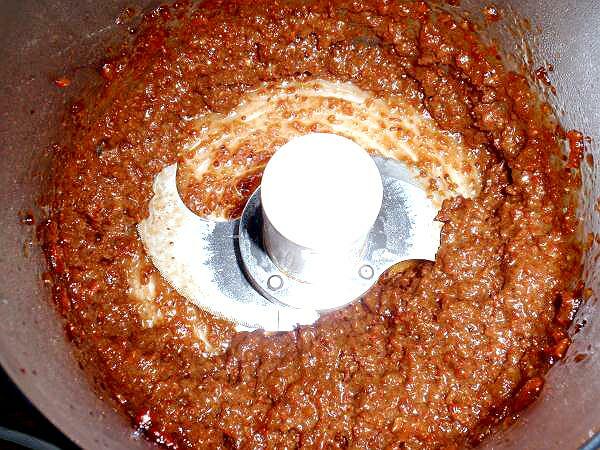 Remove with a slotted spoon and drain on paper towels. 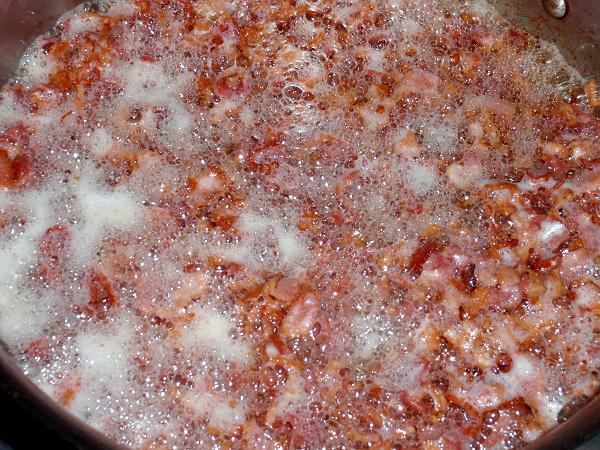 Remove all but 2 Tablespoons of the bacon grease from the skillet. 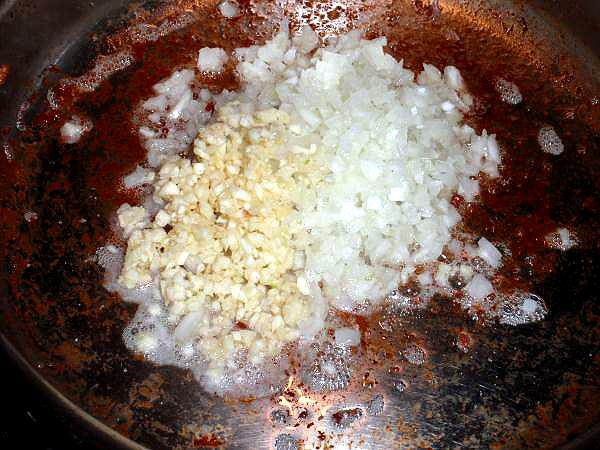 Add the onions and garlic to the skillet. 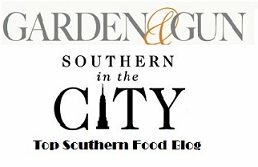 *Now, don't be throwin' that liquid gold away, put it in a container and keep it in the refrigerator to season vegetables, make cornbread or fry eggs. 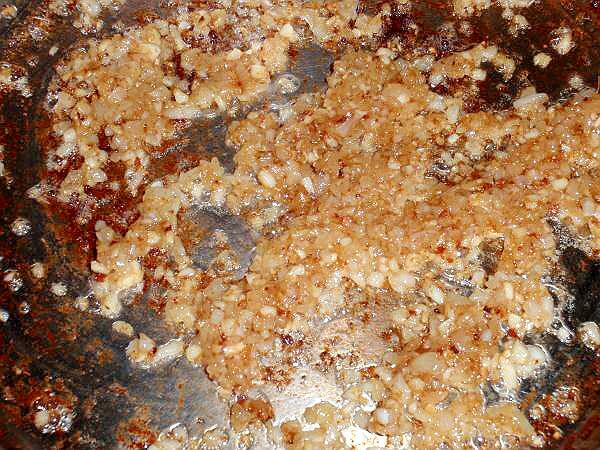 Saute the onions and garlic over medium heat, stirring occasionally until onions are soft. 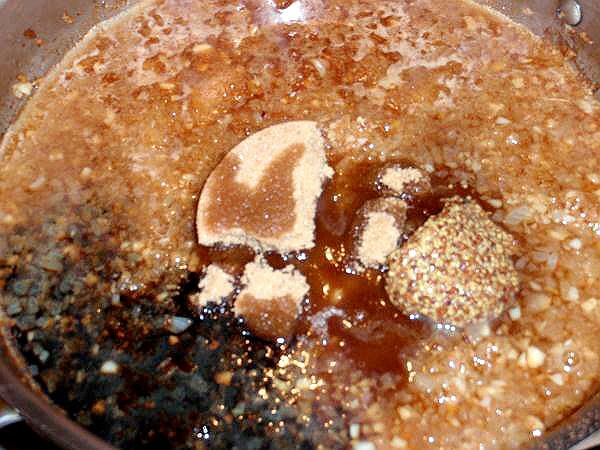 Add the brown sugar, brewed coffee, maple syrup, balsamic vinegar and whole grain mustard. Mix well. 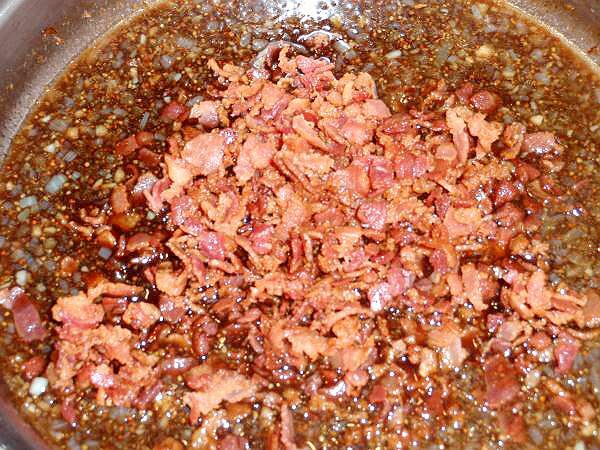 Add the bacon back to the skillet. Mix well. 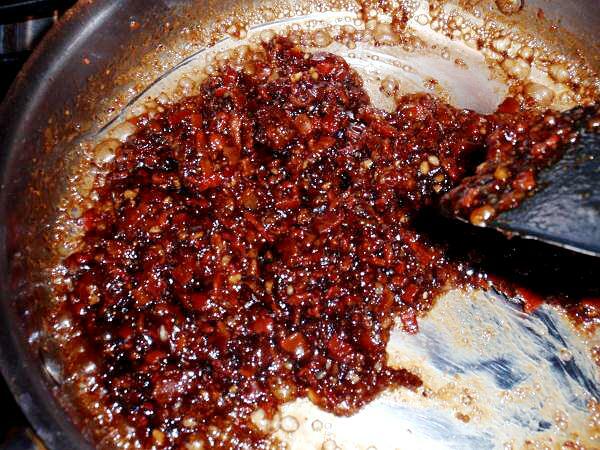 Simmer over medium heat until mixture thickens and looks like jam. 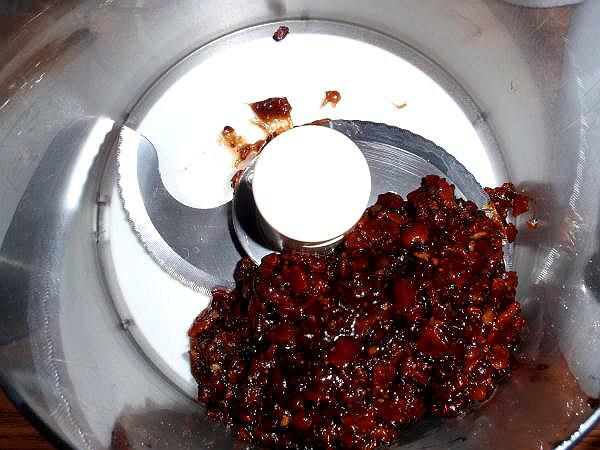 Spoon the mixture into a food processor. Pulse several times until it reaches the desired consistency. If it is too thick, you can always add a little more coffee. 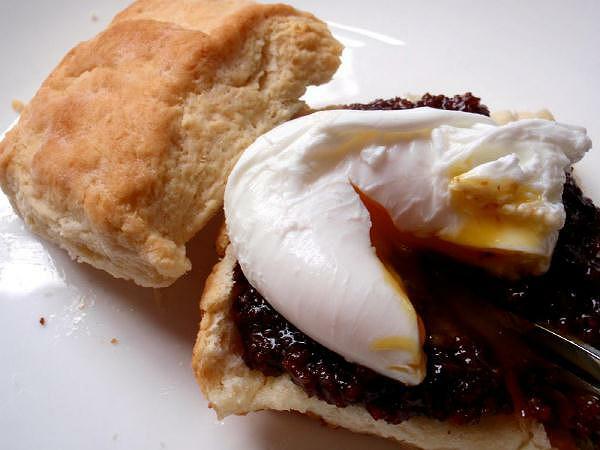 This bacon jam was really good served with a poached egg on top!